It is surprising to discover an abundance of Easter egg hunts put on for the kids of Sydney every year - from Centennial Park to Rouse Hill Town Centre. Wow. 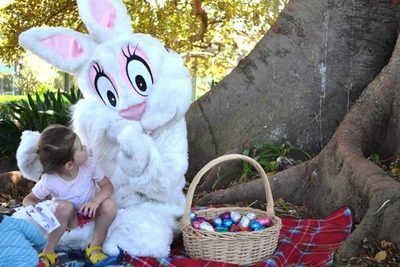 Where is the best Easter egg hunt in Sydney? Are the largest hunts the best, or are the smaller one's more enjoyable? Looking forward to hearing from you. Happy Easter Sydney. The Great Egg Hunt at Elizabeth Farm is one of the best Easter egg hunts ever. I think that the best Easter egg hunt un Sydney is the Great CP Egg Hunt, as Justine mentioned. It looks like one of the best egg hunts ever. Best place to buy Easter eggs in Sydney?